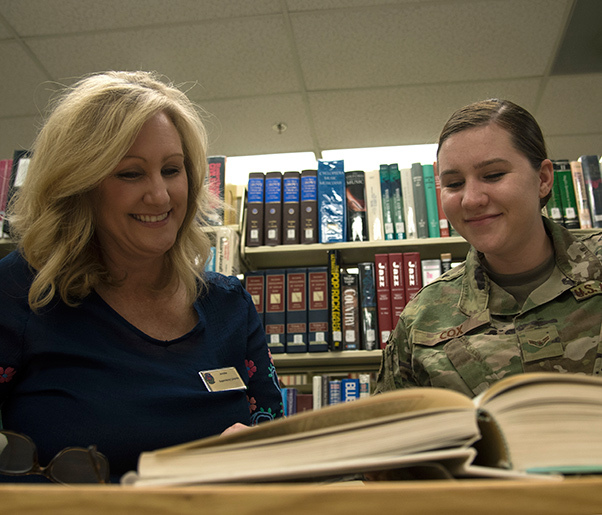 Jennifer Crowell, 56th Force Support Squadron library director, shelves a book April 8, 2019, at Luke Air Force Base, Ariz. The library has over 30,000 materials to use including books, magazines, newspapers and DVDs. 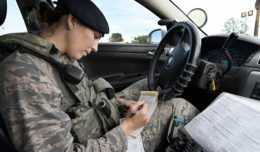 Jennifer Crowell, 56th Force Support Squadron library director, helps Airman 1st Class Zoie Cox, 56th Fighter Wing Public Affairs photojournalist, find an entry in a book April 8, 2019, at Luke Air Force Base, Ariz. 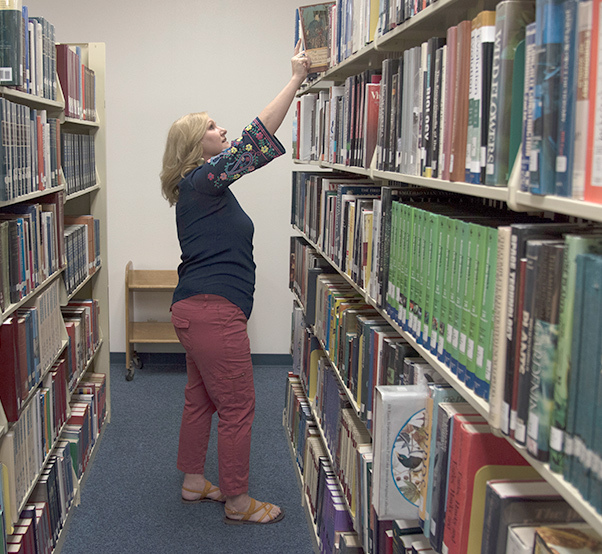 The library houses more than 30,000 books, magazines, and other reference materials as well as internet access, computer stations and more. 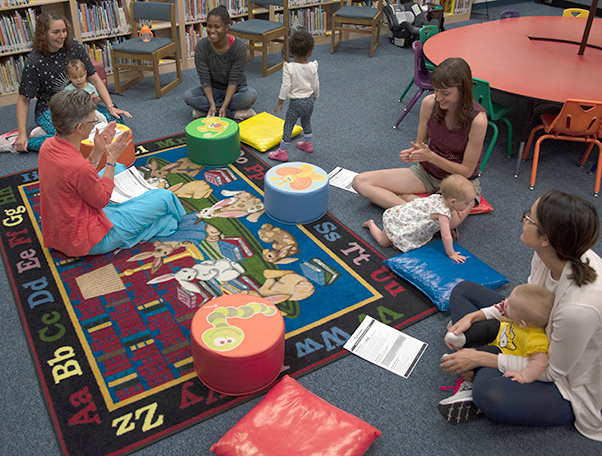 Kathryn Puckett, 56th Force Support Squadron senior library technician, sings with children and their parents during Babytime April 2, 2019, at Luke Air Force Base, Ariz. Babytime is an hour-long activity for families to participate in singing songs, playing games and creating crafts.